The Greatest Places For Fishing In The World – Fishing is more than just catching fish to have food on our plates. It’s also a bonding activity for friends and family. Imagine going on a trip to the lake or sea, sitting on your boat hoping something will bite. The hours you spend sitting there is a good time for conversation too, connecting with the people you’re with. The land down under has plenty of great fishing spots. Its coastline is full of fish, and its lakes, rivers, and streams are your alternatives if you don’t prefer being out at sea. You will need a fishing license when you decide to fish in the waters of Australia. 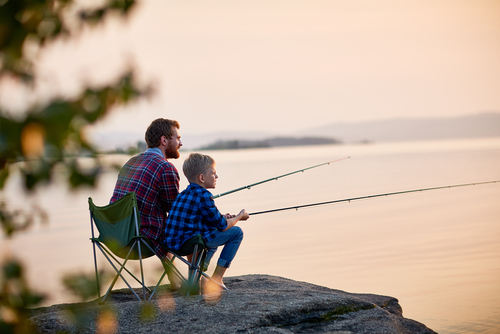 Melbourne and other areas of Victoria offer some great fishing spots. For the adventurous fisher, the Umba River in Russia is the spot for you. The tough journey to the isolated river makes it all the more special. But all that hardship getting there will indeed be worth it because this place is believed to have plenty of salmon for both human and bears. If the movies about flesh-eating piranhas haven’t permanently scared you from going anywhere near it, the Amazon Basin in Brazil is the place to go. There’s many piranha fish in this destination. Be careful, though because their teeth are sharp enough to cut through hooks and even your fingers. If you live in New York and want to take a break from its busy streets, you can go fishing in Montauk. It’s an excellent place to catch smaller fish if that’s what you like. It’s not too far from where you can unwind and enjoy the spray of the sea. If deep sea fishing is your thing, Saint Lucia is a great option. The deep waters a few miles from the volcanic island is an excellent spot for catching big fish. You can also join some of the fishing tournaments they have every year and be a fisher of the Caribbean. If you’ve been frequenting to the gym to build your upper body strength, then you’re ready to venture into this fishing spot. The Eg-Uur River Basin in Mongolia is home to the largest species of trout, the Taimen. Make sure you’re using the best fishing reels because if not, then you might lose the battle against those beasts. This island is for the luxurious fishermen. Their hotels, lounges, and bars are quite world-class. So, for the best saltwater fishing experience, visit this atoll on the Indian Ocean. It’s not just a great fishing spot, but the beautiful island itself is also an incredible tourist destination. If you’re looking for a great fishing spot that’s also a great tourist destination, Cabo San Lucas could be your place. If fishing isn’t the only water activity you enjoy, this part of Mexico’s Baja California peninsula is also where you can go scuba diving, swimming, or get a tan. Not all fishermen prefer the open seas. If you prefer the more peaceful and calm lakes, then Betty Lake is your perfect spot. You may catch a variety of trout, and this lake is filled with these fish, so there’s a high chance of something to bite. Located in the picturesque landscape of the Indian Peaks Wilderness, this is a great place to unwind and spend quiet moments with your buddies. If you plan to break the record of catching the biggest tuna ever, head on over to Prince Edward Island in Canada. It’s home to big Bluefin tunas. Prepare yourself for a tug-o-war kind of fishing with these huge and heavy fish. Wherever you find yourself fishing, remember to respect the policies regulated by their local governments. Some may have catch-and-release policies that require you to return the fish you caught back to the water. Even if you can’t take home the game you managed to catch, there’s already a rewarding feeling from being able to have traveled to that location and having the patience to wait for the bite.